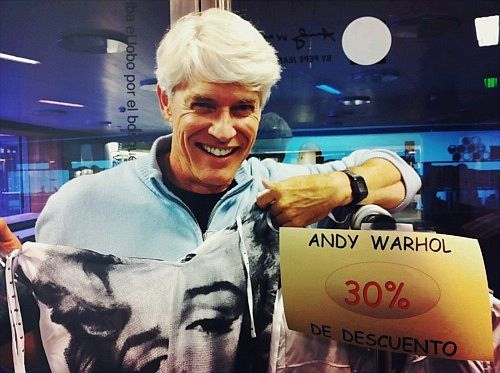 Subscribe to comments with RSS or TrackBack to 'Andy Warhol selling his merchandising'. An unusual shot of Andy Warhol! Time turns back to itself! Cool!